(CBS News) Amid speculation that he could be tapped to join the Republican ticket with presumptive presidential nominee Mitt Romney, Chris Christie, the outspoken New Jersey governor who inspired some presidential speculation of his own last year, is allowing that he'd be open to the job if called. "This is an election with one voter, Mitt Romney. He gets to decide who he thinks should be the vice president of the United States," Christie said in a Tuesday interview with CNBC. 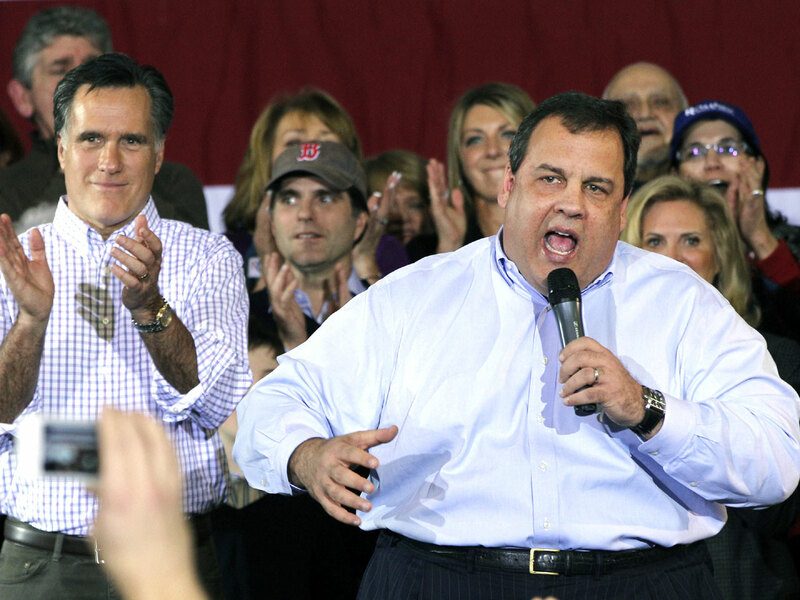 "I love being governor of New Jersey, you can tell. But the fact is, if Gov. Romney picks up the phone and calls, you have to answer the call and listen at least." Christie, who just yesterday called a reporter an "idiot" for asking an off-topic question, was for months considered a possible presidential candidate himself, despite his insistence that he had no intentions of running. This is not the first time Christie has said he would consider joining the Republican presidential ticket. In April, he told a New Jersey history class that Romney "might be able to convince me" to join the ticket, even though he's not really "the vice presidential type." In a recent string of television appearances, he's made similar comments. "As I've said before, I love being governor of New Jersey, I have every intention of staying as governor," Christie said Tuesday on Fox News. But, he added, he'd "certainly listen" if Romney asked him to be number two. The unapologetically brash first-term governor has admitted that he and Romney have little in common stylistically. As ABC News reported, the governor pressed the presumptive Republican nominee to "open up" in an interview on "Nightline" that will air Tuesday night. "I think as time progresses in this campaign, you're going to see him open himself up more and more to the American people, and let them see who Mitt Romney really is, like I've had the opportunity to see," he said. "And I think when they do, they're going to like what they see." Christie is believed to be high on Romney's list of potential running mates, and suggested in the ABC News interview that he is in the process of being vetted. "I think any of that stuff is up to the Romney campaign to talk about and not up to any of the individual people who might be being vetted to discuss," he said. He also addressed the issue of his weight - which has been cited as a possible impediment to his being picked or potentially serving as president. "I think there's a fundamental misunderstanding among people regarding weight and regarding all those things that go into, to people being overweight," Christie said on "Nightline," according to ABC News. "I think folks say -- yeah, well he must just not be disciplined, you know, or he must not have willpower -- that kind of thing. I guess the best analogy to make is some people drink too much. Some people take drugs. Some people eat too much. See, you can go live every day without drinking. You can live every day without taking drugs. You can't live every without eating." "It's a really difficult thing to deal with," he added of his struggle to lose weight.